For my series I’m going to read. I chose the Divergent series. It’s a trilogy so it has three books in this series. Divergent is the first book, Insurgent is the second book, and Allegiant is the third book. I plan on having all of these books read by the end of the term but I predict that I may not get through all the way of the last book by the end of the term. But I will be almost done with it. I’ve seen the first movie in this series but not the other two and I loved the movie so I’m really excited to see how the books relate to the movie and see if they are some what the same or different. I started reading Divergent before I knew we needed to do this project and from what I read and what I saw in the movie they are very similar but also different in their own ways. The book insurgent is the second book out of the three book series of the divergent series. In this book Tris, Four, Caleb, and Peter are all together hiding out in the faction Amity. Then people from the overall faction that are trying to find them come into Amity and say they have to test everyone to see if they are divergent. As that happens Tris, Four, and Caleb manage to get away while Peter tries to get them caught so he stays behind. Then throughout the book they just try to stay under the radar and out of the reach of Jeanine so they can’t find tris. Who is 100% divergent and that’t what jeanine needs to open the box they found. In the book it takes a lot of power to open the box and everyone who has tried they have failed and died. Same thing happened to tris…. or did it? For the first picture its a picture of people performing because Grahm is an actor and a very famous one. So we thought that picture would be a good fit for the book. He is currently filming a movie in the book and he moves his set to film closer to ellie so that he can meet her. The second picture is a picture of a email getting sent to ellie. Because to start off the book they both “met” by Grahm accidentally sending Ellie an email to ask her to walk his pet pig wilbur and he meant to send it to someone else. And that sparked up something between the two. The third picture is a picture of poetry books stacked on each other and the reason for this is it represents Ellie because she reads poetry and she rights about some of them so thats the reason behind those. Then the meaning for this last picture is. It’s a picture of a wheel and i used to represent a wheel on a boat and Grahm and Ellie steal a boat off the set that was supposed to be used in the movie Grahm was filming and they take it and they have so much fun. But no one really knowns where they were. and to add to that Ellie lost her phone in the bottom of the ocean. The conflict I feel is more like real life situations because at first Ellie was afraid to get involved with Grahm because of her family issues and she didn’t want to have too much exposure because of her dad and then when thye took the boat her mom was worried about her. I feel like it is coming together and it is believable I like how everything is coming together in this book. My name is EsDee Larsen. I don’t read a lot but I do enjoy it when I do. I read a lot when I was younger and in junior high. I love romance books and I also like fantasy. I loved reading Fable Haven when I was in junior high, also series of unfortunate events. That was one of my favorite series to read when I was younger. I tried to get into Harry Potter and Twilight but for some reason I didn´t seem to like those ones as much. In second grade my teacher would always read to us but she would do audio books so we could hear it and it would be so much more enjoyable to listen to because you can really picture whats happening in the book. I remember it was the book The Giver that we read and still to this day I love that book I´ve read it 4 times since then and I love it every time. It was a really good interesting book and it always kept me interested. I love listening to audio books and yes reading on your own is good too and it probably helps you a lot more to be able to read on your own and understand whats going on in the book. But me personally I like movies better than the books. I only dont like it when the movies change up the story completely or leave out really important parts in the story. Thats what I dont like about it. But I like watching a movie because I cant focus that long on a book I feel like its really hard for me to stay interested for that long. Molom a legend of Mongolia. In this legend it tells about a little and an old man. The old mans name is molom who is an old shaman and a messenger of life whose soul can become an eagle, a pilgrim, or anything, and the little boy Yonden. A lost child raised by wolves. As they travel across the mongolian steppe, they’re adventures no matter how fun or scary they are it allows Yonden, the “little wolf” to learn many life lessons. Such as generosity, compassion and self knowledge. Thanks to his new master and his help. He does all of this for the lessons of Buddah. It really helps him learn and grow as a boy. And he is very grateful for the opportunity he had to learn these things. It changed him so much and it changed him for the better. Its a very cool and sweet tale. And it helps me a lot too and teaches me a lot and it could also have that affect on a lot of other people if the read about this tale. Burning coal for survival in the World’s Coldest Capital. The main idea of this article is over a million tons of coal is burned each year in Mongolia due to harsh weather conditions and other survived neccesities. The article states facts like temperatures can get as low as negative 40 in both ferenheit and celsius, we know that over million tons of coal is burnt each year. This tells us they use more than most countries on average. I also can infer about that, that coal is burned in order for mongolians to survive. The coal mining business is off the charts and getting really popular there. People are leaving the hearding business to coal mining. More jobs increasing mean more economical growth. The prime minister is banning the use and transportation of raw coal. It will be extremely hard for mongolians to stop using raw coal do to how much they use. The prime minister did this to improve the air quality. The cost of electric heaters is too much for most people living in Mongolia. The people of Mongolia resort to coal instead of expensive heaters. The increase in coal mining jobs will give people money they can use to buy and electric heater. The biggest issue from this article, is the absurd amounts of raw coal use. Due to the million and tons of coal burned each year, the air pollution skyrockets linearly. The reason I picked Mongolia is because there are a lot of interesting facts on it and it’s very intriguing. Like for example Mongolia enjoys more than 250 days of sunshine a year. Which is why it has the nickname “Land of the Eternal Blue Sky” or “Country of Blue Sky”. Also Mongolia is famous for the nomadic way of life, it’s also estimated that between 30% and 40% of the country’s people live like this. 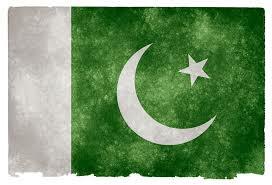 This is the Pakistan flag. It’s very different from a lot of other flags.